The Capital Is Calling: Washington D.C. is a Great Family Vacation Option! Washington, D.C. is a great family vacation option! The history is rich and no matter the age of your children they will recognize some of the iconic monuments & locations in D.C. Not only is this an amazing learning environment for the kids, but the Smithsonian’s and all the monuments and memorials along the National Mall are free. Even though D.C. is not a beach vacation or an amusement park, it is vibrant and alive with tons of options for the whole family! We spent four amazing days in D.C. with our kids, ages 9 & 11. We could have spent longer, but four days worked out well. We got to see a lot, but not at a frenetic pace. My whole family agrees that we would head back without hesitation! Kids: The Flight Simulator at the Air & Space Museum in Virginia was their favorite! Parents: Seeing the space shuttle at the Air and Space Museum in Virginia, and walking along the National Mall seeing the iconic memorials and monuments, especially the Washington Monument and the Lincoln Memorial. was an amazing tour that took us through the streets of D.C. at sunset. We stopped at the major monuments and memorials and were treated to juicy details we never would have known without the guide who was super knowledgable! Older kids can have their own bikes and the younger ones can join on a tandem. DC Government Tours: Our trip was a last minute decision so we did not get to participate in a lot of the organized tours of the government. If you plan ahead you can request a tour of the White House and/or the US Congress. Depending on the age of your kids – these can be a really memorable experiences! Try to put in a request at least 3 months ahead of time if possible. 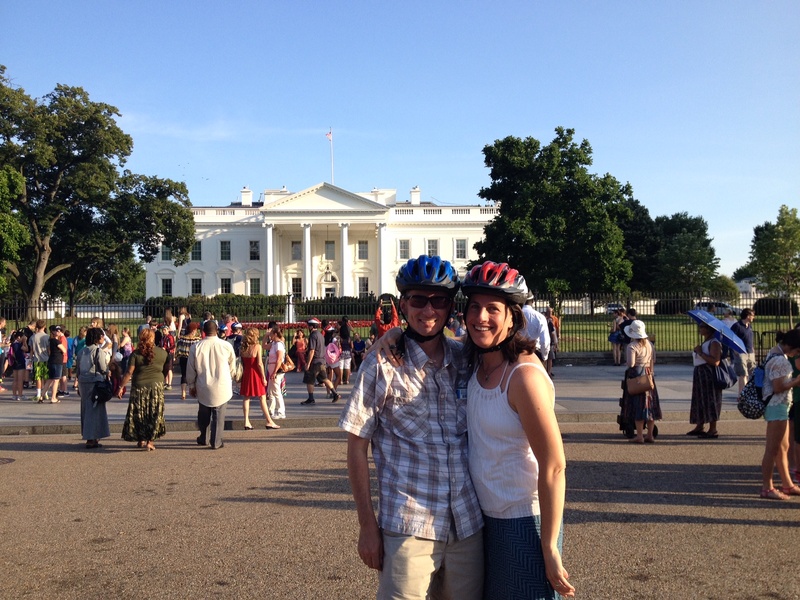 Local Tours: Take a bike tour with Capital City Bike Tours. They can usually be booked last minute and offer you guided tours of the monuments and memorials of D.C. You can also take a self-guided tour of the National Mall. Find a brochure from the National Parks Service. Smithsonian Museums: I have fond memories of spending time at Washington D.C., museums. I specifically remembered the Air and Space Museum, so I was excited to take the kids back! We spent the most time at these museums: National Museum of Natural History, the Air and Space Museum, the National Museum of American Indian. They were all great options and entertained the kids for hours. Each has a cafeteria so you can take a break, or grab something from a street vendor right outside along the National Mall. The American Indian Museum has a really great cafeteria we heard people rave about and after trying it we concur. It offered delicious food based on the different Native American regions so it was unique and educational, but the kids still enjoyed the food. The most memorable museum – the one we had to drag our kids out of – was the Air and Space Museum in Virginia – this one you have to drive for – but this location houses all the over sized space toys like the space shuttle, war planes, bi-planes, and tons more. Also, there are flight simulators on site and the kids LOVED these. It was almost impossible to get them out! Other Museums: There is also the International Spy Museum that is amazing and really engages the kids. It isn’t a Smithsonian so it does cost to go in. We thought it was worth the cost! Outdoors: Take a walk on the National Mall – which is a actually a National Park – so look for Junior Ranger program information for your kids. They offer activity booklets your kids can do along the way all the while becoming a Junior Ranger replete with a badge and stamp when they complete this booklet. We found ice cream and pretzels along the National Mall which offered a great break and a burst of energy for all of us on those hot summer days. Of course you can explore the Lincoln Memorial, the Vietnam Memorial, and other outdoor locations too. Getting There: United Airlines and Frontier Airlines offer direct flights to Washington, D.C. from Denver. 1. Take your time! Go slowly and don’t schedule yourself too tightly. There is so much to do you will want to get it all in, but if you are traveling as a family, pick your top sites and hit those for sure. Everything else is icing on the cake. 2. If you go in the summer it can be really hot, so consider going early or late to avoid the middle of the day heat – even if you are planning to be at the museums! 3. Bring good walking shoes. Seems obvious, but you walk a lot and so good shoes helps! 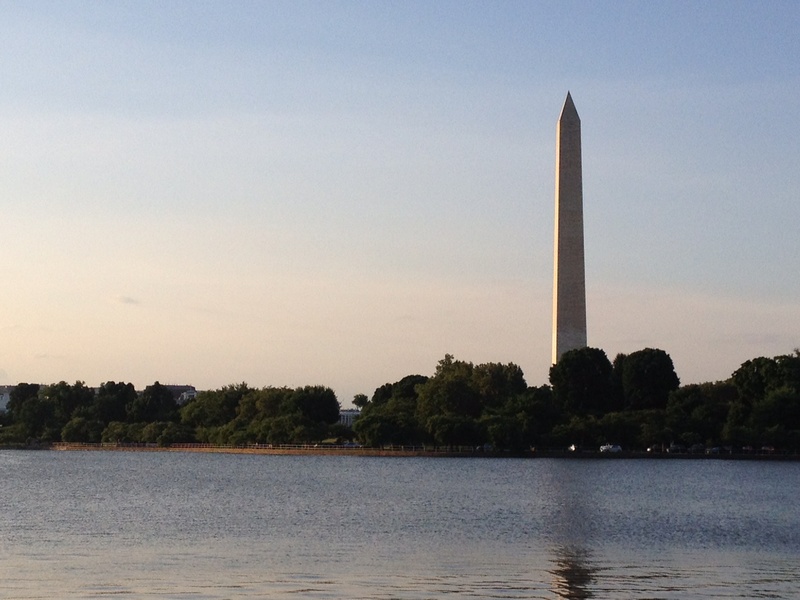 Have tons of fun exploring the rich history and educational opportunities in Washington, D.C.! This entry was posted in Travel, Uncategorized and tagged Boulder, children, Colorado, Elementary School Kids, family, Family Travel, History, Kids, Memorials, Monuments, National Mall, National Park Service, Smithsonian, Travel, United States Capital, US, USA, Virginia, Washington D.C. by Boulder Families. Bookmark the permalink.